A beautiful print of a sunrise over a large metropolis. 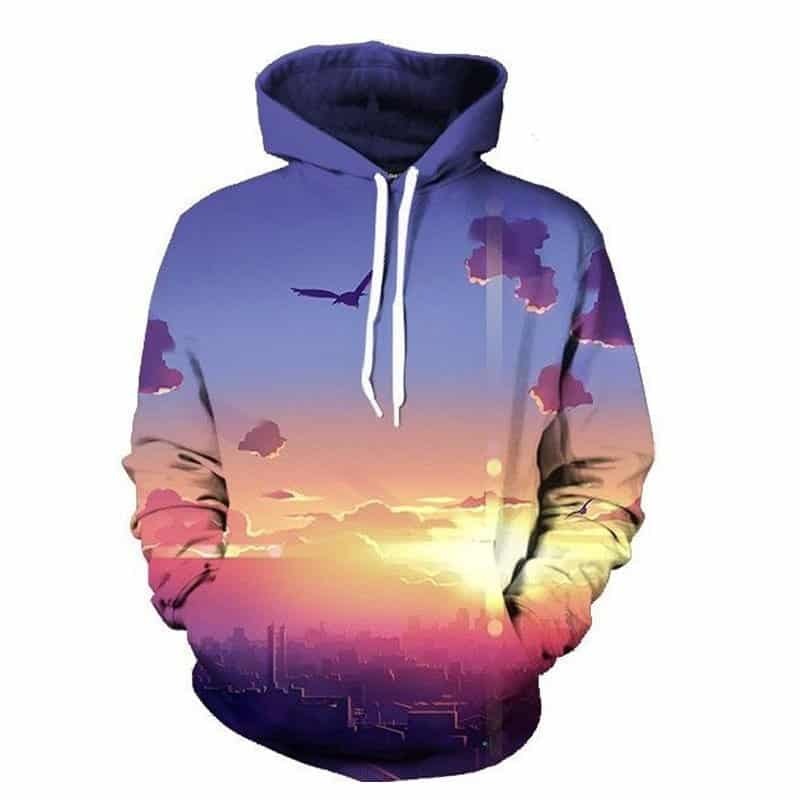 This City Sunrise Hoodie has chilled vibes all over it. The pastel blues, purples and oranges make it a very relaxing print to look at. The hoodie itself is comfortable to wear, looks fashionable and is wearable anywhere. It was designed for both male and female.